I had this really great box. I had been holding on to it for several months because I have a cardboard hoarding problem. Ha! It is true, I will say "Ohhh! 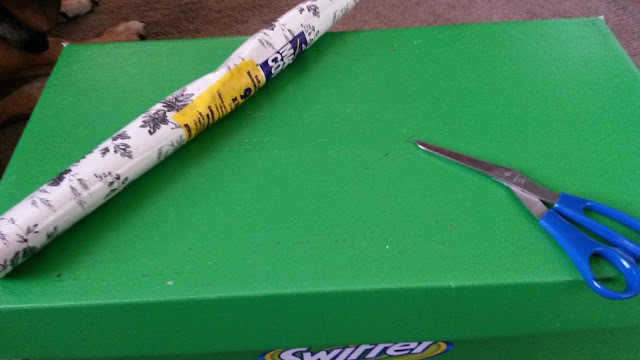 I am going to make a cardboard bed with that box..." and my husband will nod his head and say "Great idea!" or maybe "Interesting." He is patient and will give me a few days. If the box remains untouched, he sweetly breaks it down and recycles it to keep my hoarding to a minimum. This box however I had managed to keep stashed out of the way in a closet used for coats. We haven't needed jackets in months now, so no one has been in that closet. Until one day. I saw him open the door. His eyes locked on the box. He asked "What are you doing with this box?" I knew my time was limited. It was a great box... I couldn't lose it! My mind went to work and I came up with a great way to use it and make it look pretty too! 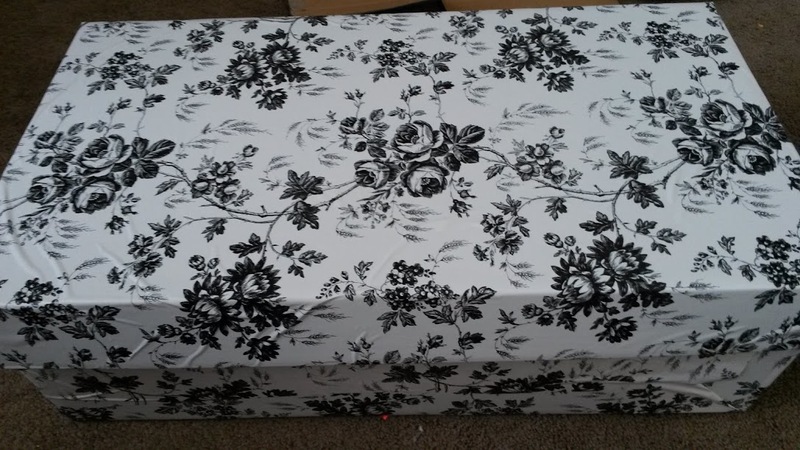 From a swifter box to a blanket box in under 5 minutes. This project cost me about 50 cents to complete which makes this not only an upcycle, but also a frugal organization project in one. I purchased my contact paper for $1 at Dollar General. I have enough to do another box about the same size. First I unrolled enough paper to cover the top. 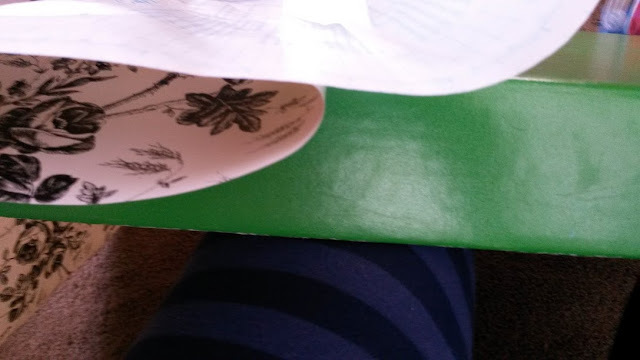 I peeled a small section of the paper off of the contact paper to carefully begin applying it to the lid of the box. Then I did the same for the sides and the bottom. I took a hard plastic case and smoothed out the bubbles and wrinkles in the contact paper the best I could. My edges were a touch uneven, but that is okay. I highly doubt anyone is going to inspect my blanket box for perfection. 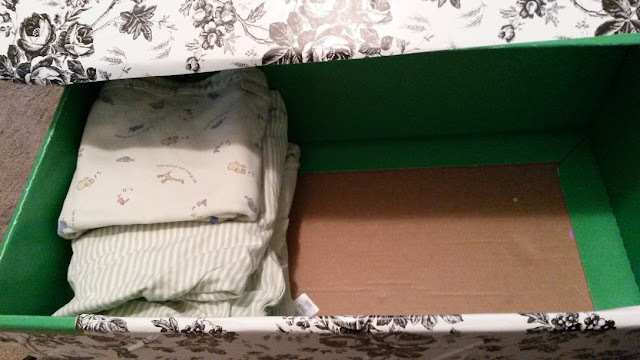 This box is great for storing baby blankets and it fits perfectly under Harp's crib. This project only took a few minutes (5) and it created a really useful organizational tool for my daughters room!